It’s always fun to look back over the year and see all the fun recipes we have shared here on the blog. Thank you so much for another awesome year! I appreciate all the support from each and every one of you. 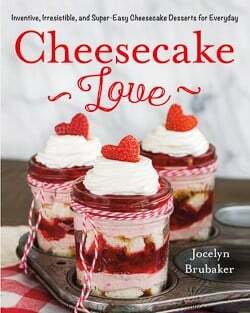 It’s always fun to get emails and comments from those of you who have tried recipes. One of my favorite things to do at the end of the year is to see what recipes were the most popular. 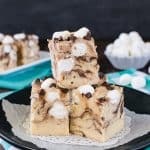 This year the top ten BruCrew recipes from 2017 were desserts. I have to admit some of these were some of my favorites too. It was also interesting to see that most of these recipes were ones that we made a short how to video for as well. Are you guys loving these easy videos? I’m excited to continue making them. Did your favorite recipe make this list? 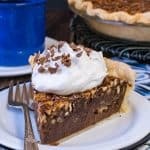 I would love to hear if you have made any of these recipes and what one was your favorite. Also, are there recipes that you would love to see on the blog next year? Send me a message or leave a comment with your requests. If you missed these the first time around, here are the links to the top recipes of 2017. 1. 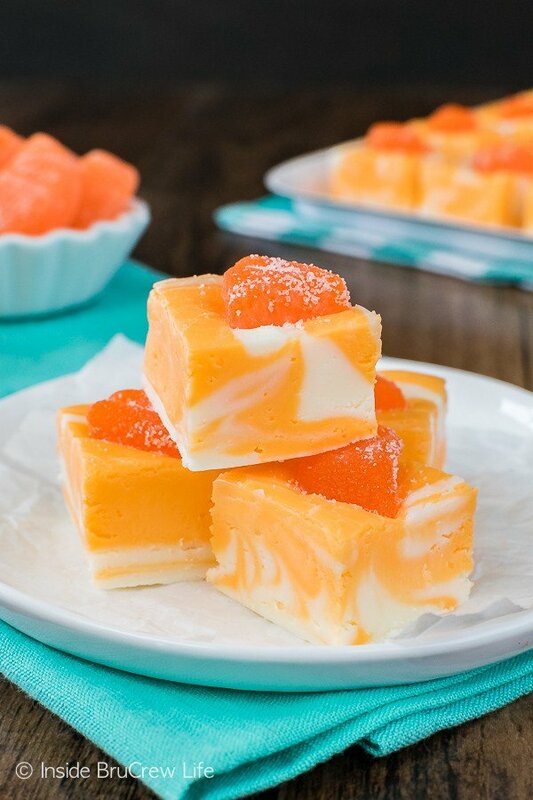 No Fail Orange Creamsicle Fudge – the sweet swirls of vanilla and orange fudge made this one of my favorite no bake treats too. 2. 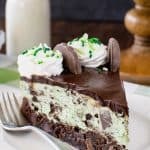 Thin Mint Cheesecake Brownie Cake – a fudgy brownie layer topped with no bake mint cheesecake was one of the best things I made. I was excited to see how much you guys liked it too. 3. 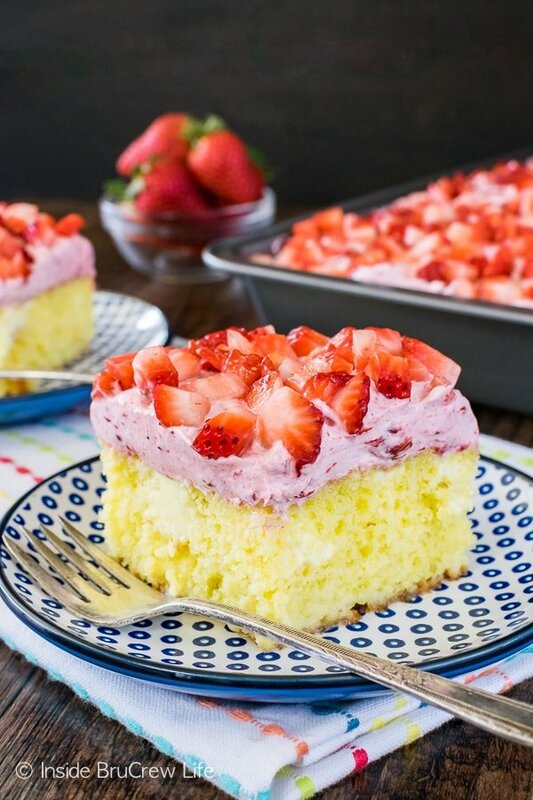 Lemon Strawberry Poke Cake – pockets of lemon frosting, berry frosting, and fresh berries make this easy cake taste amazing. It was easy to see why this was a favorite. 4. 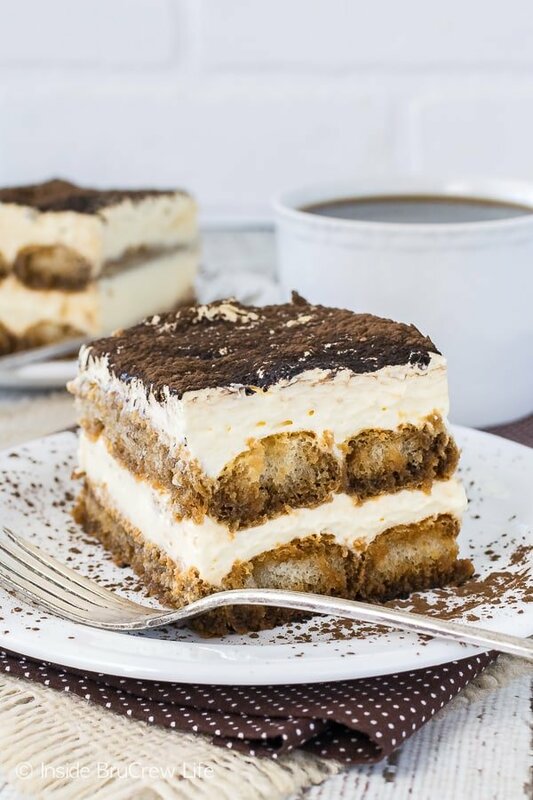 Easy Tiramisu – this easy take on a traditional dessert was one of my son’s favorite desserts this year. Coffee soaked cookies and layers of creamy goodness make it a great dessert for coffee lovers. 5. 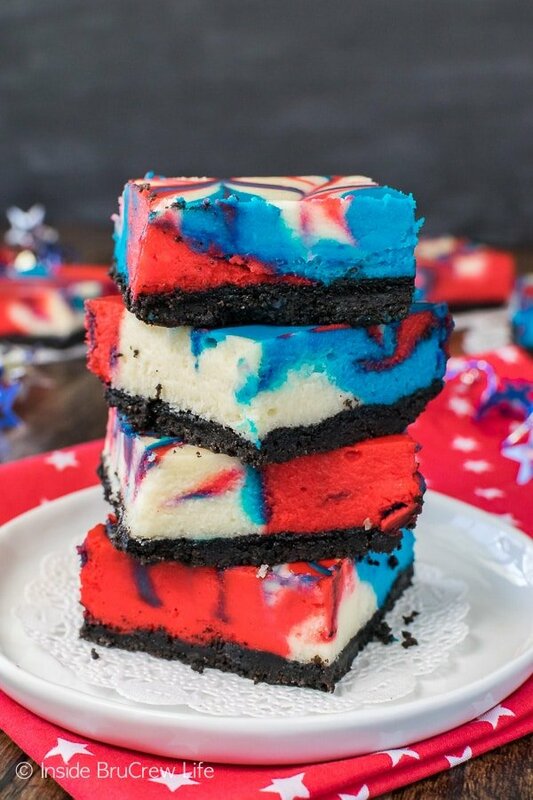 Red, White, and Blue Cheesecake Bars – the swirls of colors in these cheesecake bars make them stand out on dessert tables. 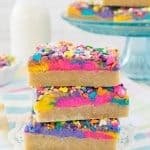 These are so easy to customize for other parties by just using different colors. 6. 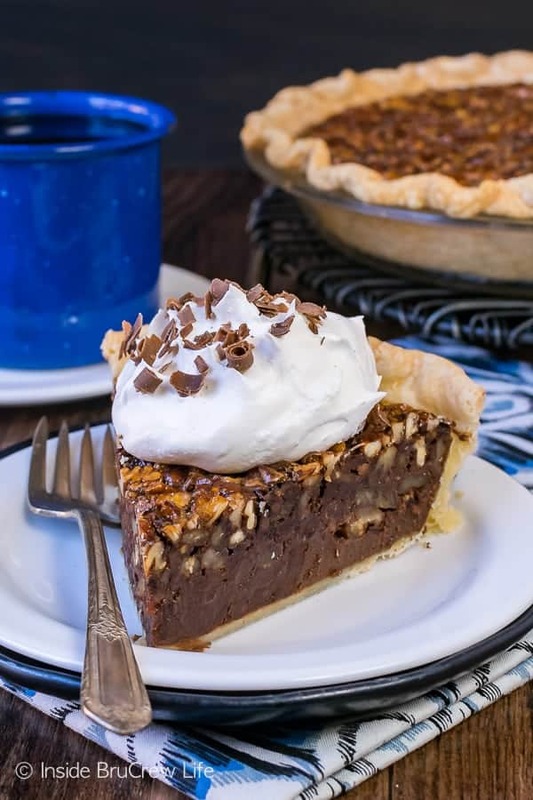 Chocolate Fudge Pecan Pie – adding a chocolate twist to the traditional pecan pie made this my new favorite pie. 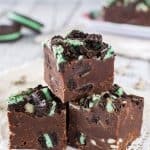 Gooey fudge and nuts is a combo that needs to happen more often. 7. 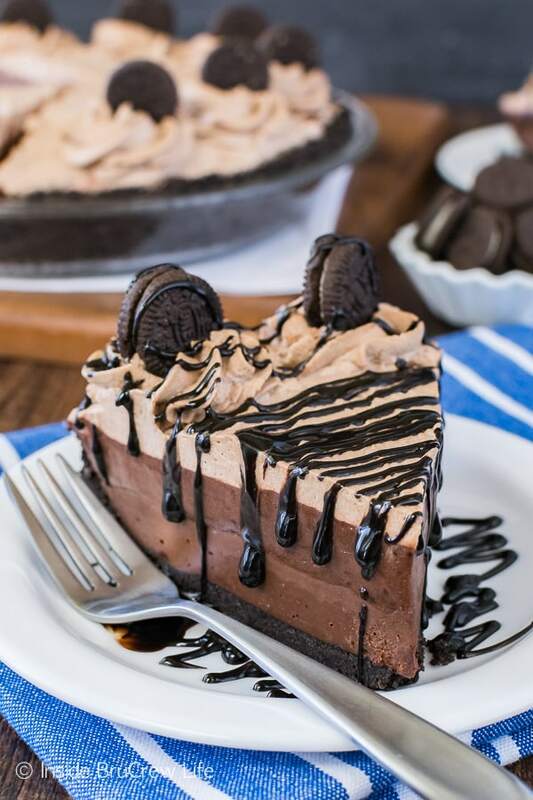 No Bake Chocolate Cream Pie – layers of chocolate pudding and chocolate cheesecake made this easy pie so gooey and delicious. I can’t wait to try other flavors. 8. 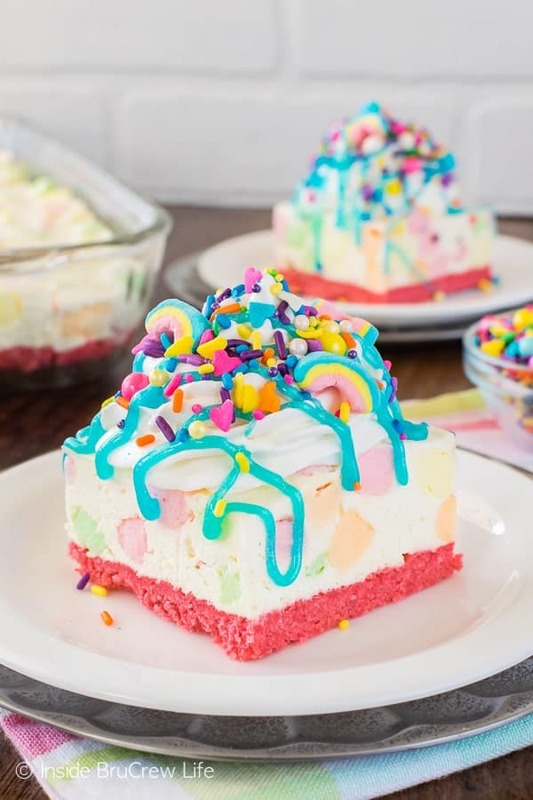 No Bake Rainbow Unicorn Cheesecake Bars – bright colors and lots of sprinkles make everyone smile when they see this fun dessert. 9. Caramel Peanut Butter Pretzel Fudge – sweet and salty treats always make me happy. 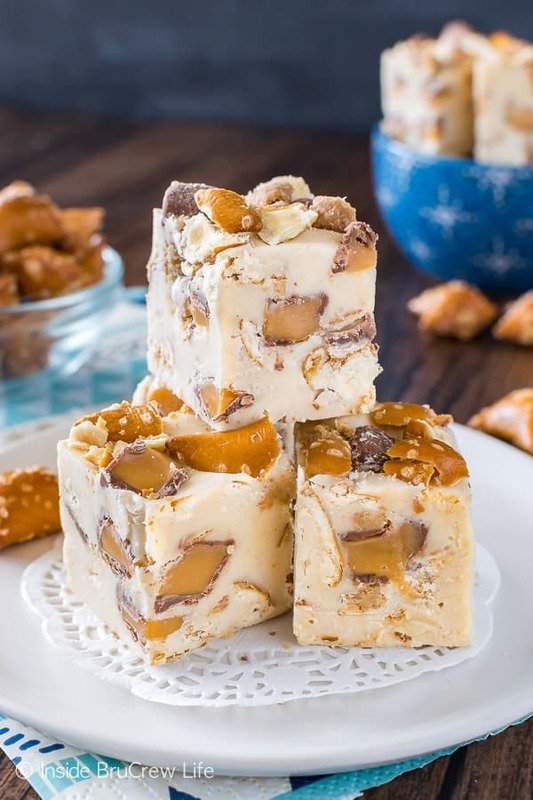 This sweet creamy fudge has lots of caramel candies and peanut butter pretzels inside it. 10. 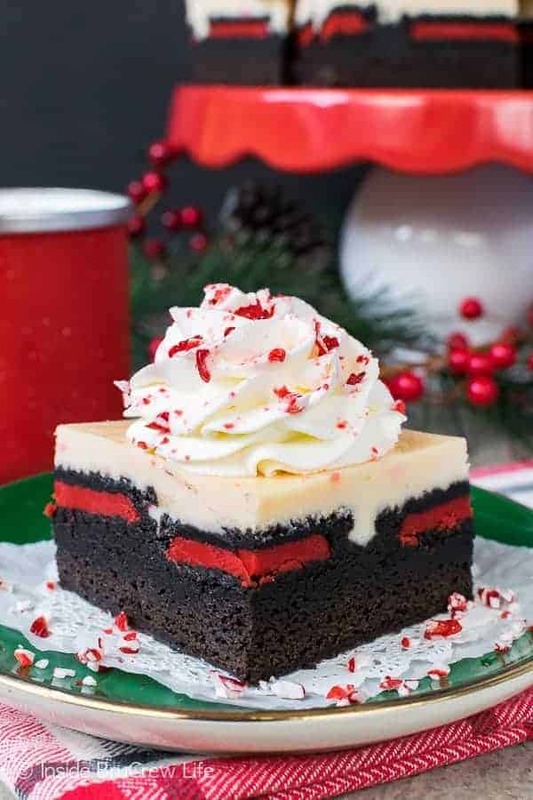 Peppermint Cheesecake Oreo Brownies – a hidden layer of Oreo cookies make these homemade brownies stand out on the dessert table. 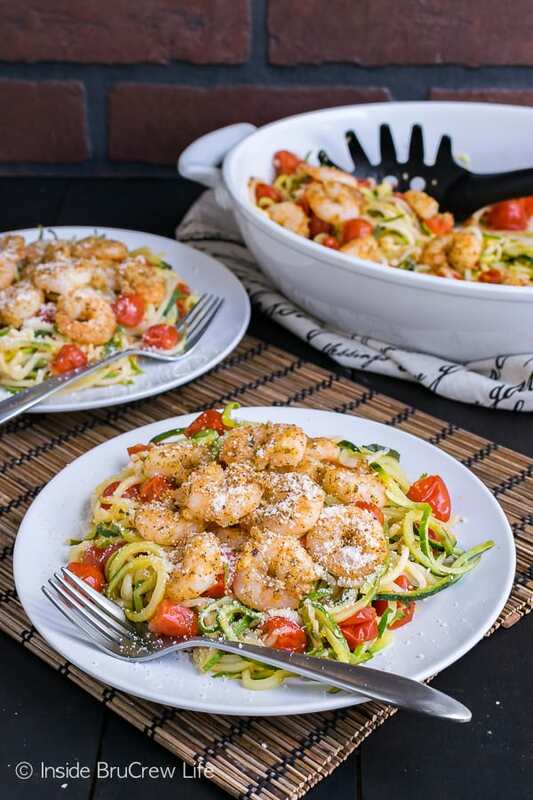 BONUS RECIPE: Parmesan Garlic Shrimp Zucchini Noodles – this easy lean and green meal turned out to be my all time favorite recipe from the year. 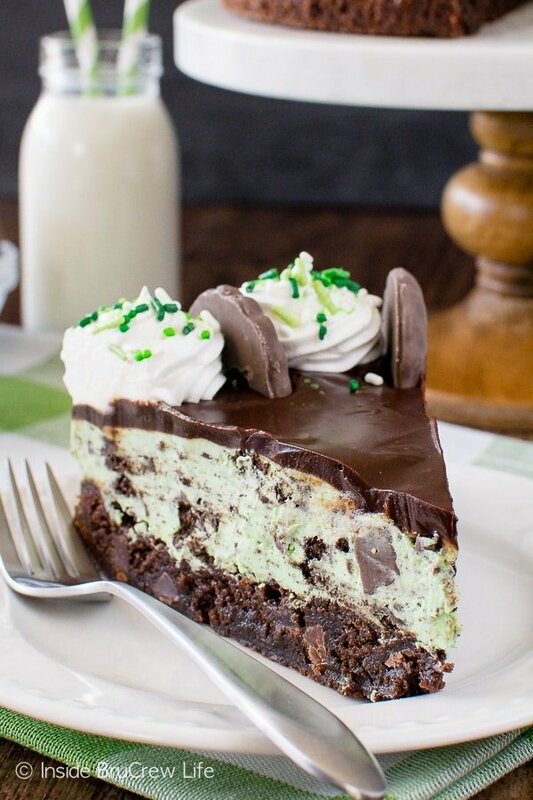 We have made this so many times and still love it! Thank you again so much from the bottom of my heart! 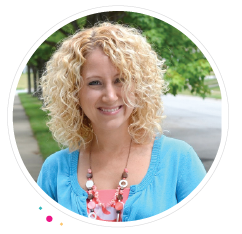 Your support makes this blog and these recipes possible. I can’t wait to get back into my kitchen and create some more dinners and desserts to share with my family and with you guys. Here are the top ten recipes from the past few years as well. There are so many good recipes to check out. I’m looking forward to sharing more recipes and stories with you in 2018. Have a very Happy and Blessed New Year!!! Happy New Year back at ya! I love that blogging brought about our friendship. I puffy heart love ya girl. 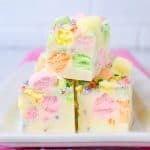 And I love that creamsicle fudge was such a hit on both our sites!! !